Secretary of Labor Acosta Visits REOREO Inc.
Secretary Acosta of the Department of Labor visited REO to learn about the optics apprenticeship program that REO offers. 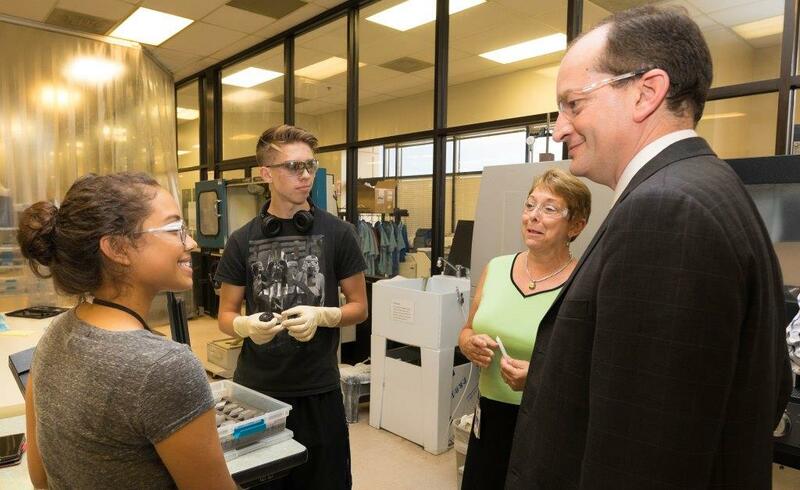 Secretary Acosta wanted to know how the Department of Labor could help continue to support apprenticeship initiatives like this one. 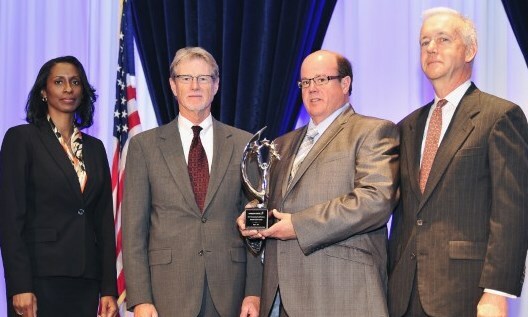 REO was recently recognized by Cutera with a Distinguished Supplier Award. The main criteria of meeting the Distinguished Supplier status is the way REO responded to the challenge of rapidly increasing volume. REO demonstrated reliability by identifying the obstacles, finding an immediate solution, and putting processes in place to enhance their ability to meet the customer's needs. Cutera is a leader in medical aesthetic lasers, manufacturing devices focused on delivering the highest level of performance, safety and efficacy. REO has strategically partnered with a new Boulder based coating company, FiveNine Optics, to enable customized, high-performance optics. REO sees this new partnership as an opportunity to serve complimentary and developing markets while continuing to serve their core business. REO exhibited at the third annual W3+ Fair exhibition for optics, electronics, and mechanics March 2nd - 3rd. Attended by more than 155 companies and partners and more than 2,700 visitors, the W3+ Fair confirmed its position as an important networking trade fair for precision technology in Germany. It has become a popular forum for technical buyers, decision makers, experts in research and development, and engineers throughout the industries. REO makes big changes to better serve clients and create a positive internal culture where employees are empowered and invested. 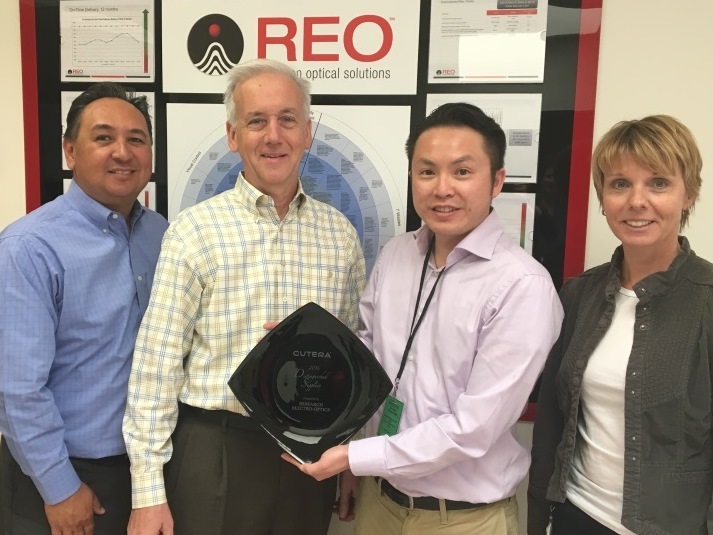 REO received acknowledgment for achievement in supporting and strengthening Lockheed Martin’s Global Supply Chain. REO was one of 22 small business suppliers, out of thousands, who were recognized for their commitment to quality and accountability. A joint effort program between REO and Lockheed Martin Missiles and Fire Control is one of 46 to receive nomination for the prestigious Aviation Week Program Excellence Awards. The Aviation Week Program recognizes those with exemplary leadership and execution in the aerospace and defense community.